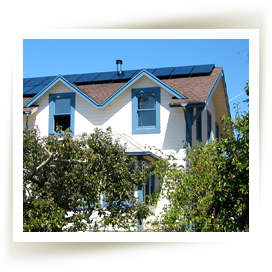 Mendocino Solar Service installs grid-tied and off-grid solar electric systems for residential and commercial properties in Mendocino County. Our primary service area is the Mendocino Coast, Comptche and Anderson Valley. We also serve the Willits and Ukiah Valley areas. With over twenty years of experience and comprehensive knowledge of the technical, legal, and financial issues involved, we help Mendocino County homeowners achieve energy independence by installing systems designed for their particular climate, topography, energy usage, and budget. 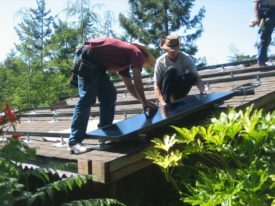 Contact Mendocino Solar Service for a complimentary solar consultation to get started toward your energy independence today. Total kW of PV installed: 1,198 kW, or 1.198 Megawatts. Sustainable North Coast Business, 2014, Presented by Representative Jarred Huffman, California's Second District, United States Congress. Mendocino Film Festival – Films for our Future Series. Read more.